This July 10, 2018, file photo shows agents watch as Air Force One lands at Melsbroek Military airport in Belgium ahead of the NATO summit. 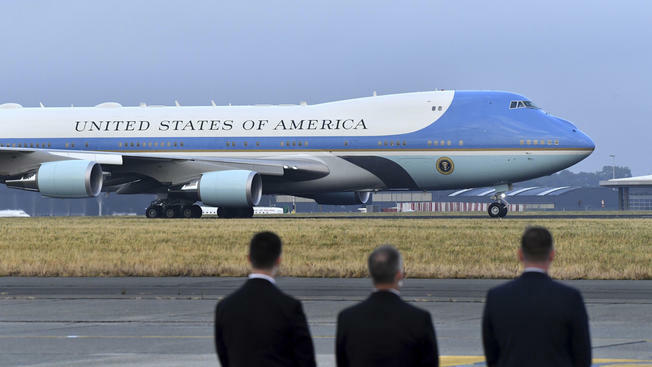 Boeing is being paid nearly $4 billion to provide two new Air Force One aircraft to replace the current, 31-year-old ones by 2024. President Donald Trump said they’ll have a new red, white and blue paint job. President Donald Trump says Air Force One is getting a patriotic makeover.